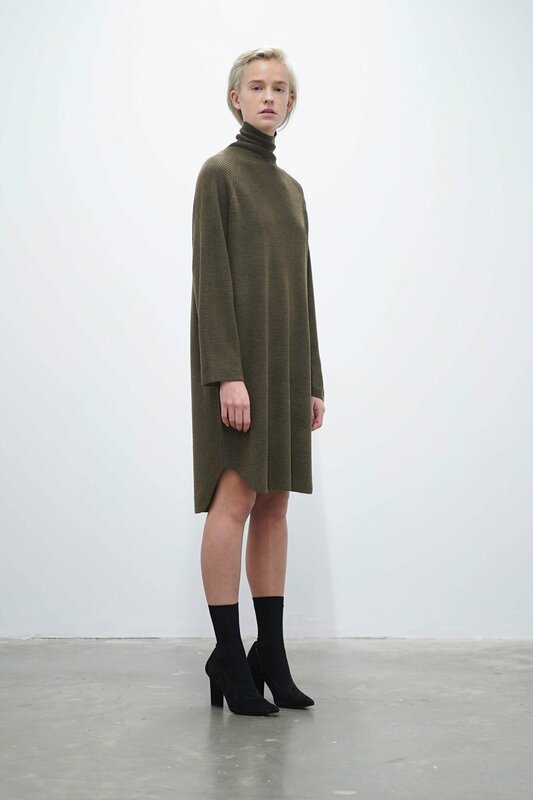 This waffle-knit long turtle neck sweater features raglan sleeves and a rounded hem. Perfect for pairing with a light jacket and for casual, cozy fall day. Fabric Content: 70% Acrylic, 30% Wool. Care Instructions: Hand wash cold, lay flat to dry or dry clean. No tumble dry. Approximate Measurements: XS: 39" bust x 36" length S: 41" bust x 37" length M: 43" bust x 38" length L: 45" bust x 39" length Model's height is 5'7".